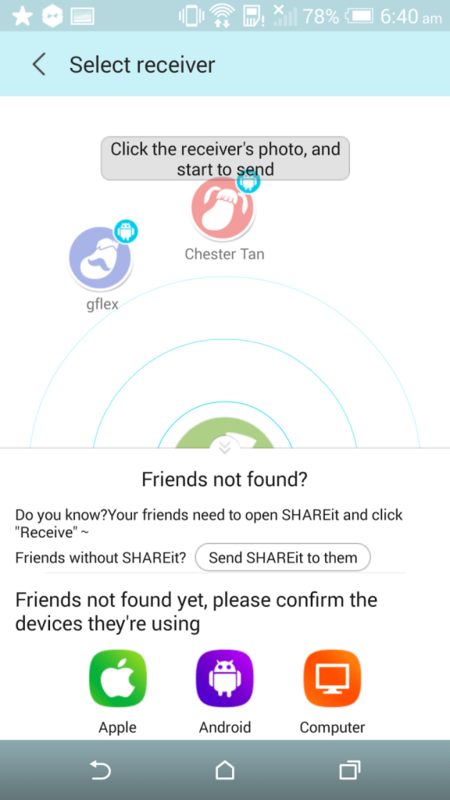 SHAREit uses the Direct Wi-Fi method of sending and receiving files among devices of all platforms (Android, iOS, Windows Phone), except it does not require technical knowledge to set up. Just install the app and select whether to receive (listen to other devices) or send (search for other devices) files. Why do you need this app? So that you can send files of any size to your friends around you without going through the data network and incurring data charges. I really like the app because it’s so easy to connect devices. If you hold multiple devices, you would appreciate the need to transfer files across other devices when you wanted. Can you imagine sending 3.7MB file to another device in just 2 seconds? 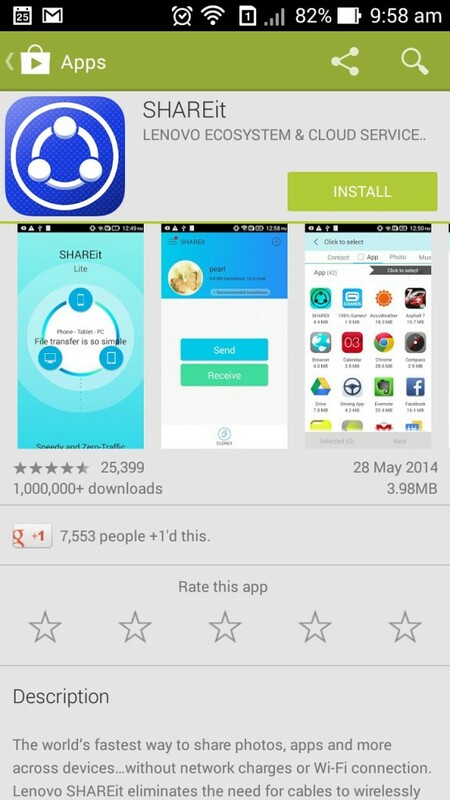 SHAREit is pre-installed in ASUS Zenfone and rebranded as Share Link.